Chris and Sarah join us again to explore the watery depths of the Disney animated classic The Little Mermaid. 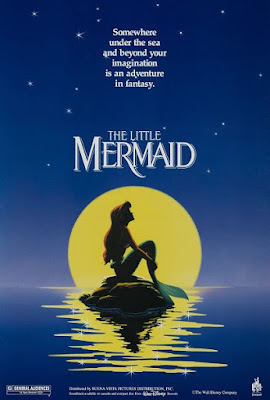 We discuss the film's mixed messages regarding women's autonomy and body image, speculate on the Lovecraftian origins of merfolk, and discuss the movie's role in bringing about Disney's second golden age of animated films. Warning: Contains explicit language, spoilers, and some disturbingly phallic castle architecture. Have you ever seen a mermaid? Spot any other Disney cameos you'd like to point out? Have a great recipe for cooking les poisson? Leave a comment and keep the conversation going.